Sheer, sparking color—plus 6 hours of non-stop moisture your lips will feel good about. 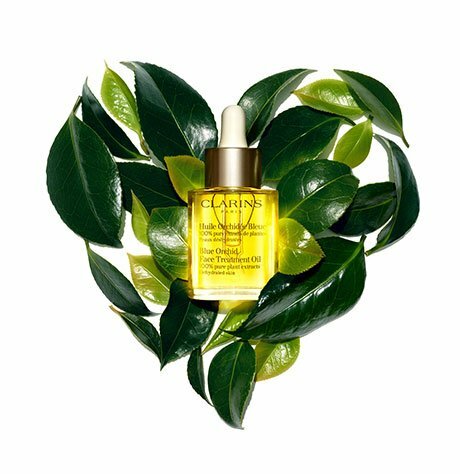 * Enriched with super-hydrating Organic Marsh Samphire extract, nourishing Mango oil, and Clarins’ exclusive Shine Booster+ Complex to leave lips plump, luminous and luscious. Rated 5 out of 5 by CynHe from Shinier lipstick, looks awesome and still last a long period of time. I enjoy playing with the colors and I always try to get a different one, but my favorite is the Pink Cranberry. Rated 5 out of 5 by Lorena from Love, Love, Love! I'm on my 3rd tube of the Coral Tulip. I love the texture of this lipstick and that it isn't heavy or icky feeling on my lips. I put it on in the morning, might touch up mid morning after drinking another cup of tea, and then after lunch. It wears well for me while keeping my lips hydrated. I liked what another reviewer said about it feeling / looking like her own lips only better. I also use a lip pencil to help keep the color wearing longer. Rated 1 out of 5 by IDIM from I like Clarins products in general, but this new line of lipstick I don't like at all. First of all to get the desired color on your lips you need to apply- apply and apply it at least three times. Then lipstick is not staying in your lips it disappears after 1.5 - 2 hours. Unfortunately I cannot return it. Will not recommend. Rated 3 out of 5 by Beauly from Nice, sheer color I love that it's NOT opaque and has a transparency about it. It has a great texture and feels good on my lips. I don't think it lasts as long as some of the other lip products, but I would buy it again in other colors. Rated 5 out of 5 by JMAZ from Wow! The Perfect Lipstick! 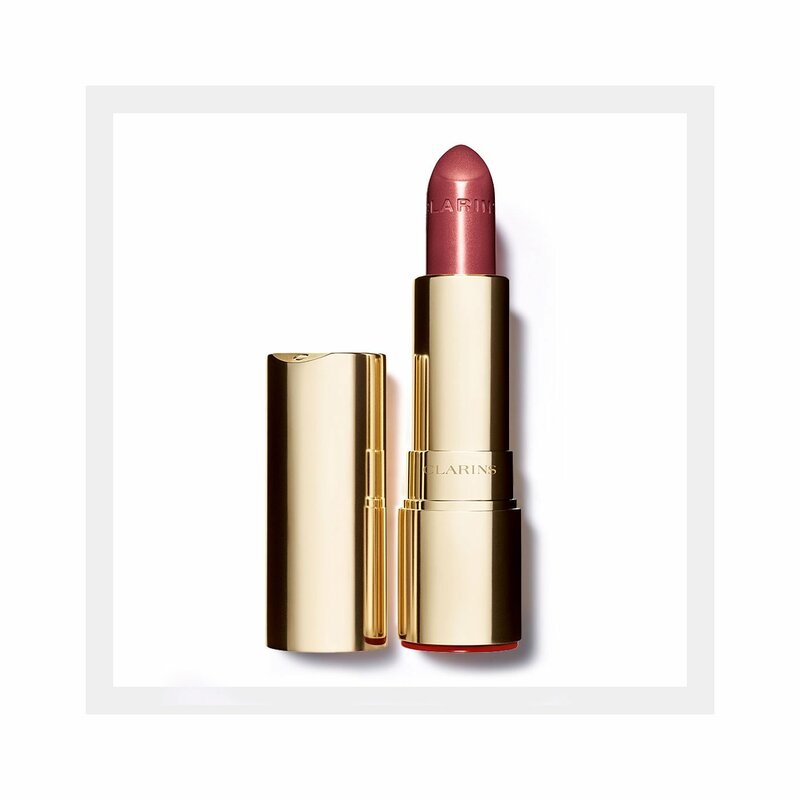 I'm very picky when it comes to cosmetics and I've tried many lipsticks over the years but I've never been more impressed than I am with this one. I know it may sound hard to believe but this actually makes my lips look younger! The shimmer gives shine but it doesn't look sparkly or frosty. The hydration is excellent without feeling greasy or heavy. I'm fair and I purchased the color Fig which looks dark in the tube but goes on so sheer that it looks like MLBB (my lips but better). It doesn't feel like you're wearing lipstick and looks very pretty. I'm glad I decided to try this and I plan to purchase many tubes as long as they keep making it. A big thumbs up to Clarins for this one!! Rated 5 out of 5 by LauraS from Great Addition to my Purse Great feeling on your lips. Nice sheer color. I don't usually buy lipsticks online because I like to try the color but this was a good choice. I'm ready to try another color! Rated 5 out of 5 by BeLovely6 from Love the Brilliant Lipstick in Fig I was also disappointed with losing the color Pink Magnolia in the Shine Sheer Line, but I understand change, so I took the step into the Brilliant line, and I'm so glad I did. I chose the color Fig as I was looking for something to replace the Pink Magnolia. Fig is a beautiful color. It reminds me so much of the Pink Magnolia from the Shine Sheer line that I can hardly tell the difference. If I had to say the difference, I would say the Fig is slightly more red in tone than the Pink Magnolia which is fine with me. I find these last a bit longer on the lip then the Shine Sheer line. The moisturizing effects last a long time. I only reapply to add more color as the color does fade after about a couple of hours. This product does wear evenly on the lip as it fades. I love how the Brilliant lipstick makes my lips feel as they never feel dry, and I love the look as it gives the appearance of a fuller lip. Please keep making this line of lipsticks. I'm sure I will be trying more colors.